Marial Shayok, remember him? Mercurial talent for some good UVA basketball teams. One game, he’d be lights out. Then, a couple weeks, nothing. Shayok has found a new life at Iowa State, where he’s leading the Big 12 in scoring, and it’s legit. Shayok, a 6’6” senior, is averaging 19.8 points a game on 50.7 percent shooting from the field. He’s also shooting 39.6 percent from three-point range, on 5.3 long-range attempts per game, and he’s getting to the free-throw line for 3.8 charity tosses per game, and shooting 86.1 percent. He’s had nine games this season with 20+ points. Total 20+-point games in three seasons at Virginia: one. And that one was his second-to-last game at UVA, the first-round NCAA Tournament win over UNC-Wilmington in 2017, when he had 23, on 8-of-14 shooting. Par for the course for Shayok’s time at Virginia, he had seven on 2-of-9 shooting, in the blowout loss to Florida. That kind of thing happened too often for Shayok at UVA. He had a modest 13 on 6-of-12 shooting in a February 2017 loss at UNC, then followed that up with 12 total over the Cavaliers’ next five, shooting 6-of-23 from the floor in that stretch. He averaged 16.6 points a game to key a five-game ACC winning streak in January 2017, then 6.4 points a game over the next 11 in ACC play, in which the ‘Hoos went 6-5. Mercurial is one word to describe Shayok’s talent in his UVA days. Tantalizing would be another that would seem to fit. It just never seemed to come together fully for Shayok in his time at Virginia. Which is why it’s fulfilling to see him playing with so much confidence at Iowa State. Watching him on the floor last night in the Cyclones’ 80-76 loss at Kansas Monday night, Shayok looks to be in his element. He’s an NBA talent offensively, a threat off the dribble and, if you’re not careful, when he launches from three. He was 6-of-10 from two-point range and 3-of-8 from three-point range in the loss, finishing with 26 points. I mentioned his overall shooting numbers. It’s significant to point out that he’s shooting 57.4 percent on two-point attempts this season. Those are the numbers of a dribble-drive nightmare. He can get to the rim, score on a pullup, and shooting just a tick under 40 percent from three, you can’t just sag and concede the open jumper. 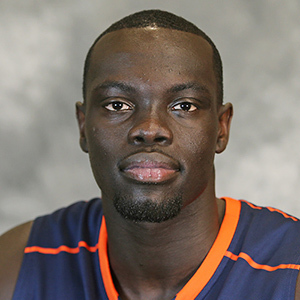 I’m rooting for Marial Shayok. Good to see him doing well.